L. Ron Hubbard Writers of the Future Winner Announces"Racers of the Night"
Too much fun. And it all began with the Contest. Brad Torgersen will see his second short fiction collection, "Racers of the Night" published with Wordfire Press debut at Salt Lake City Comic Con on September 4th. Brad's career took a rocket-ride when he was awarded as a winner at the 26th Annual L. Ron Hubbard Achievement awards held in Hollywood, California in 2010. He has been steadily publishing since. Within a couple of months of the ceremony, Brad had his second story in print, and has now seen dozens publications of his shorts in just 4 years in all major magazines of the genre and anthologies. He has also been nominated for every award in the field multiple times. Brad's rocket-ride career has been a life-long dream of which he recently stated, "Too much fun. And it all began with the Contest." Now in its 31st year, the Writers of the Future Contest began in 1983 and attracts entries worldwide in science fiction and fantasy. Twelve quarterly winners receive prize monies and, along with selected finalists, are published in an annual anthology, L. Ron Hubbard Presents Writers of the Future(Galaxy Press). The book is sold in bookstores and at Amazon.com and gives the winners the exposure that they need. The idea has proved very successful. Hundreds of winners have had successful writing careers following their win and publication in the anthology, and to date has launched the careers of 12 New York Times bestsellers including: Jo Beverley, Tobias S. Buckell, Nancy Farmer, Eric Flint, Karen Joy Fowler, Tim Myers, Patrick Rothfuss, Lisa Smedmen, Dean Wesley Smith, Elizabeth Wein, Sean Williams, and Dave Wolverton aka David Farland. 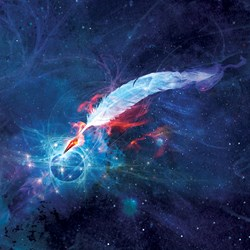 Prospective writers should visit http://www.writersofthefuture.com for more information on how to enter the contest.